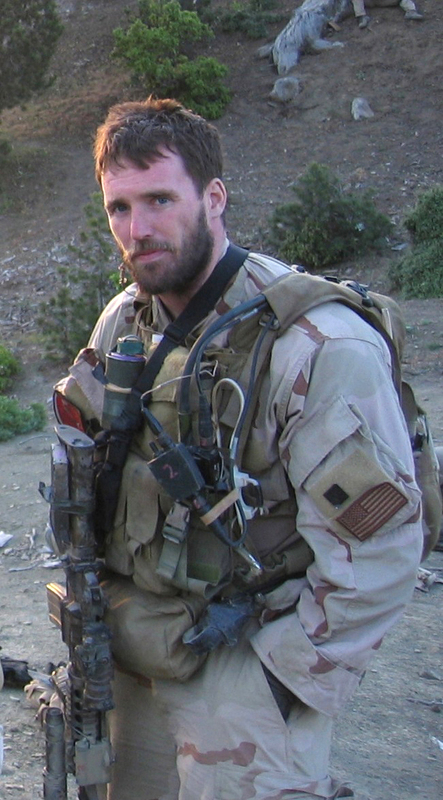 Lt. Michael P. Murphy, from Patchogue, N.Y. Murphy was killed by enemy forces during a reconnaissance mission, Operation Red Wing, June 28, 2005, while leading a four-man team tasked with finding a key Taliban leader in the mountainous terrain near Asadabad, Afghanistan. The team came under fire from a much larger enemy force with superior tactical position. Murphy knowingly left his position of cover to get a clear signal in order to communicate with his headquarters and was mortally wounded while exposing himself to enemy fire. While being shot and shot at, Murphy provided his units location and requested immediate support for his element. He returned to his cover position to continue the fight until finally succumbing to his wounds. As a final note, I highly recommend the book Lone Survivor. The movie is good, but does not do it justice.